New guidelines being implemented by the U.S. Food and Drug Administration – effective Jan. 1, 2017 - require label changes allowing only therapeutic uses of some medically important antimicrobial drugs, and call for increased veterinarian oversight for these drugs used in animal feed. The drugs are currently sold over the counter with unrestricted access. According to the Centers for Disease Control and Prevention, overuse may be related to the development of antibiotic-resistance-related infections, which kill 23,000 people and sicken millions each year. The UC Davis School of Veterinary Medicine and the Farm Foundation recently brought together the state's livestock and poultry producers, their feed suppliers, veterinarians and UC Agriculture and Natural Resources Cooperative Extension specialists to discuss a changing landscape of antibiotic drug use in food animals. 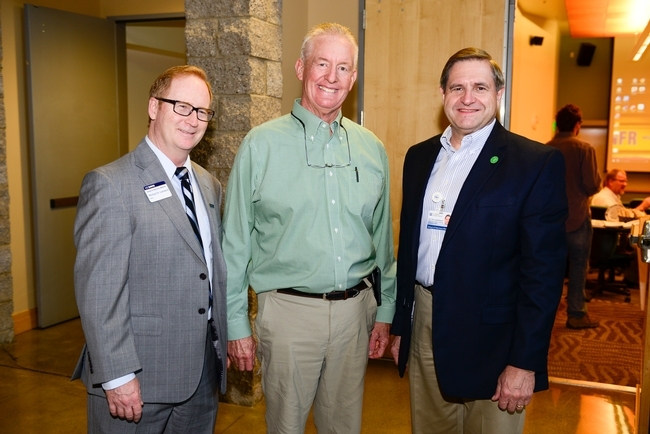 Regional industry leaders were among the speakers at the workshop, held at the UC Davis School of Veterinary Medicine. They included Chuck Ahlem of Hilmar Farms, Bill Mattos of the California Poultry Federation, Dr. Stuart Hall of Feedlot Health Management Services, and Dr. Marit Arana of A.L. Gilbert Company. Dr. Craig Lewis of the U.S. FDA and Dr. Kathe Bjork of the USDA were also present to provide an overview of the complex public health issue of antibiotic resistance, the new guidelines and available to answer questions from the nearly 70 participants. A welcome by Sheldon Jones with the Farm Foundation, Dean Michael Lairmore with the UC Davis School of Veterinary Medicine and meeting facilitator Kevin Ochsner kicked off the morning. In his address, Lairmore emphasized the important role the school plays in reducing antibiotic resistance and working with its partners to build consumer trust in a safe food supply. “Our school's role is critical in training the next generation of veterinarians on this issue and providing evidence-based science on the ethical, proper use of antimicrobials in food animals,” said Lairmore said. “Our ability to bring people together around important topics like this and our research and public service programs place UC Davis veterinary scientists at the forefront of this issue." 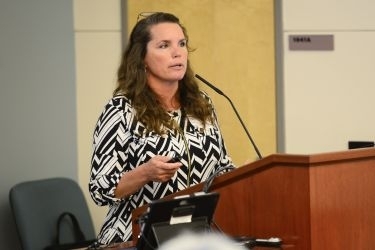 How to best move forward with the new guidelines was a central theme among featured speakers representing producers, veterinarians and the feed industry. Chuck Ahlem with Hilmar Farms, the world's largest single site cheese and whey manufacturer that sells products in more than 40 countries, said he believes the changes will help strengthen the relationship between producers and veterinarians. Bill Mattos with the California Poultry Federation emphasized how important the issue is to the state's poultry industry, citing California as producing more chickens this year without antibiotics than any other state. Lunch speaker California State Veterinarian Dr. Annette Jones provided an overview of CA Senate Bill 27 - passed by the legislature and currently before Gov. 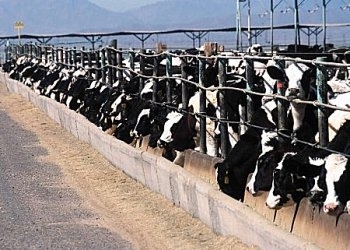 Jerry Brown – that would put into place the FDA guidelines and eliminate the unnecessary use of antibiotics in animals, such as those used to promote growth. If the bill becomes law, California will lead the nation in addressing the serious public health threat of antibiotic resistance. Afternoon break-out sessions allowed participants to discuss the management challenges and impacts ahead due to the changes, and provided state and federal agency staff, veterinary medicine faculty and UC Agriculture and Natural Resources Cooperative Extension specialists insight into the changes needed to meet the requirements. The Davis workshop was one of 12 that the Farm Foundation is hosting across the country. A report based on comments gathered at the workshop will be presented at a national summit to be convened by the Farm Foundation later in 2015 to advance the conversation on the industry's adaptation to the changing landscape of antibiotic drug use. 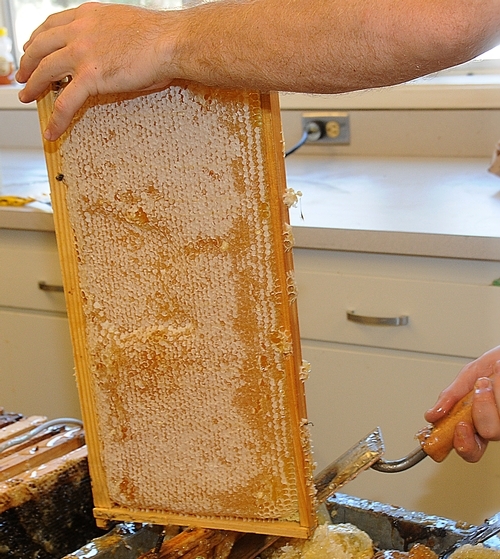 “Going green” means buying local honey, say honey bee experts at the University of California, Davis. Some unethical honey importers illegally mark their products or route them through other countries to avoid paying tariffs or to avoid public health safeguards. “In a series of shipments in the past year, tons of honey produced in China passed through the ports of Tacoma and Long Beach, Calif., after being fraudulently marked as a tariff-free product of Russia,” according to the investigative report. Investigative reporter Andrew Schneider found that laundered Chinese honey is often shipped into the United States from Australia, Cambodia, Hong Kong, India, Indonesia, Malaysia, Mongolia, Russia, Singapore, South Korea, Taiwan, Thailand and Vietnam, then relabeled as coming from there instead of China. The news is not new, and neither are the "stings." The Associated Press recently related that "a Chinese business agent for several honey import companies was arrested in Los Angeles Tuesday (Feb. 15) on federal charges filed in Chicago for allegedly conspiring to illegally import Chinese-origin honey that was falsely identified to avoid U.S. anti-dumping duties. The charges resulted from an investigation conducted by U.S. Immigration and Customs Enforcement's (ICE) Homeland Security Investigations (HSI)." The business agent was accused of "conspiring between 2004 and 2006 to illegally import Chinese-origin honey that was falsely identified as originating in South Korea, Taiwan and Thailand to avoid U.S. antidumping duties." The fact is, the United States doesn't produce enough honey to supply the demand. And due to the lower price, U.S. consumers may reach for the imported honey instead of the locally produced honey. "Currently U.S. honey producers can supply about half the honey consumed in the U.S. annually,” said Extension apiculturist Eric Mussen of the UC Davis Department of Entomology, who writes and publishes the bimonthly newsletter, from the UC Apiaries. “We have to import substantial amounts of honey. If the foreign sources lower their prices far enough, our honey producers can't sell their honey at competitive, above cost-of-production prices. To maintain our market, we cannot allow low-cost honey to slip past the tariffs now in place to keep domestic sales moving." 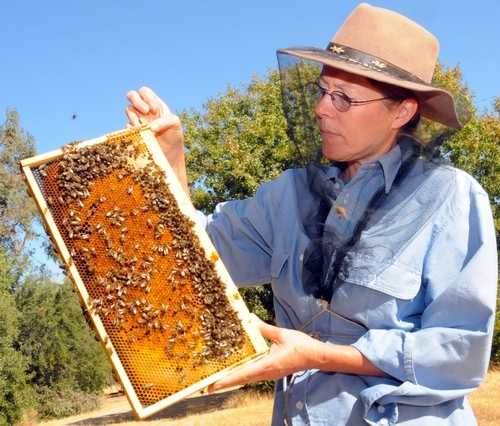 The UC Davis bee experts expressed concern that antibiotics banned in the United States are used to treat diseases in bee hives in other countries, and then the honey is shipped here. For example, beekeepers in China sometimes use an animal antibiotic, chloramphenicol, in their hives. When humans ingest the honey, it can cause serious illness and sometimes death. Show me the money? Or show me the honey?